New Mexico Poker – Is Online Poker Legal in New Mexico? New Mexico is an interesting case. Home poker is illegal. Online poker (clearly) is, too. But residents can play casino poker. And it sounds like online poker may become an option. But only if the state and the state’s Indian tribes can come to an agreement. Most states exempt home poker (or social) games from their laws. So long as no one takes a cut of the action you’re okay. But not here. Not in New Mexico. Home poker games are not covered in their laws. And since they cover other forms of poker – like online poker – it’s safe to assume that social gambling is illegal. D. possessing facilities with intent to conduct a lottery. 30-19-4. Permitting premises to be used for gambling. A. knowingly permitting any property owned or occupied by such person or under his control to be used as a gambling place; or B. knowingly permitting a gambling device to be set up for use for the purpose of gambling in a place under his control. At minimum, breaking the law will get you a misdemeanor. New Mexico makes their stance on internet poker very clear. It does sound like they’re confused as to what the UIGEA actually is. But that’s neither here or there. Online poker is illegal – that’s all you need to know. We haven’t heard of anyone being arrested for playing at offshore sites, though. That’s always an option if you can manage to find a legit room or two to join. If you go this route I suggest just keeping the bare minimum bankroll online – just to be on the safe side. The alternative, of course, is to make the hop, skip and jump over to Nevada where every form of poker you’d want to play is legal. Instead of making the trip to Nevada, you could check out one of the state’s Indian casinos. They do spread poker cash games and tournaments. There are plenty of others – just do a Google search. What Does New Mexico’s Future Look Like? My research suggests we’ll see online legislation in 2018 or 2019. I’m having a hard time seeing that, though. New Mexico isn’t doing a lot for the internet side of things. Right now it seems like the focus is still on brick and mortar. In fact, the Navajo Nation just got the go ahead to expand to another 3 casinos over the next 15 years. 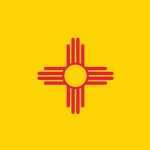 At one point, though, after the Black Friday debacle, New Mexico did reexamine the laws and what it would take to introduce online poker in the state. Nothing much came of it, though. And it sounds like it would cause a rift with the tribes in the state. In fact, the tribes have asked for the option to stop paying the state their portion of the revenue share if the state decides to go ahead and legalize online poker. It sounds like if the tribes don’t get behind online poker, it won’t happen. Because the state would have to be confident they could make plenty of money – and preferably more than what they are now – through intrastate gambling. And that wouldn’t happen by themselves. No – they would need to partner with other states (like California and Nevada) to stand a chance. So, I think it’ll be a few years yet before we see New Mexico table – and pass – online poker legislation.